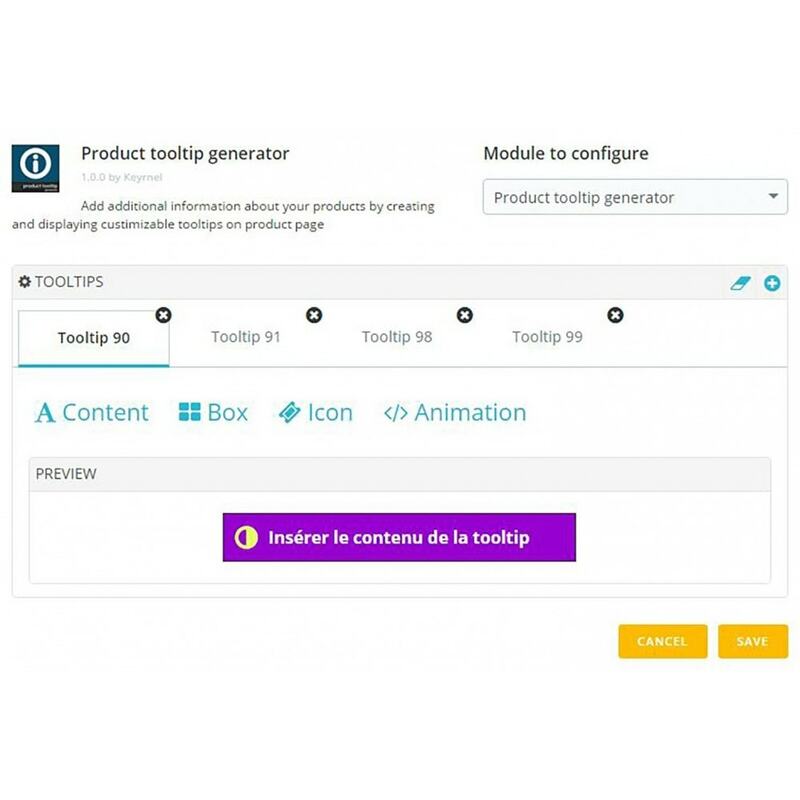 This module for Prestashop allows you to add additional information about your products by creating customizable tooltips on product sheet thanks to a rich text & display editor. 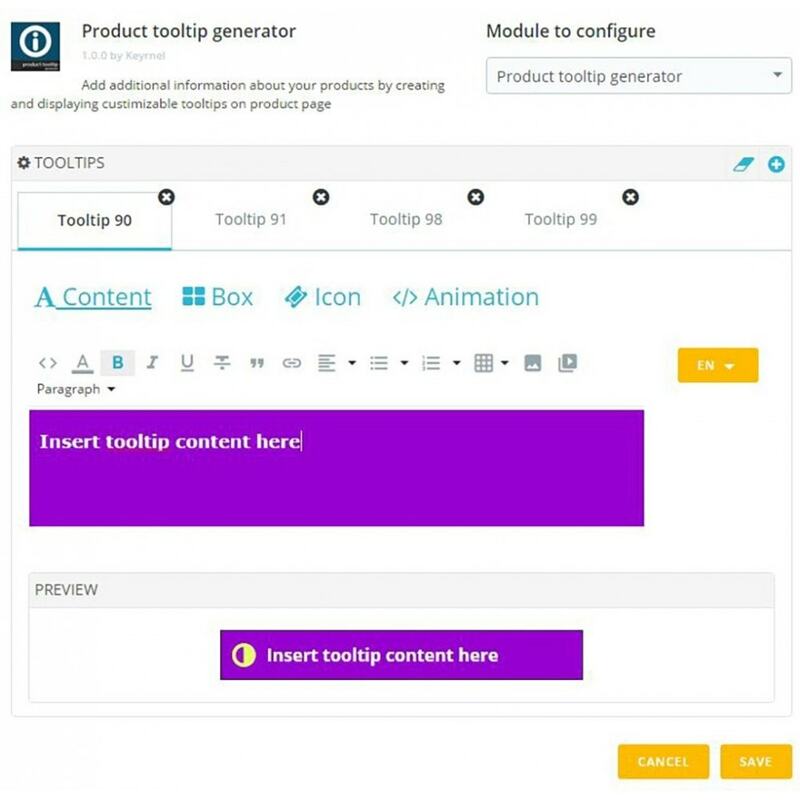 The tooltip is the ideal way of communicating with your users when you want to add quickly some additional important information about a product. 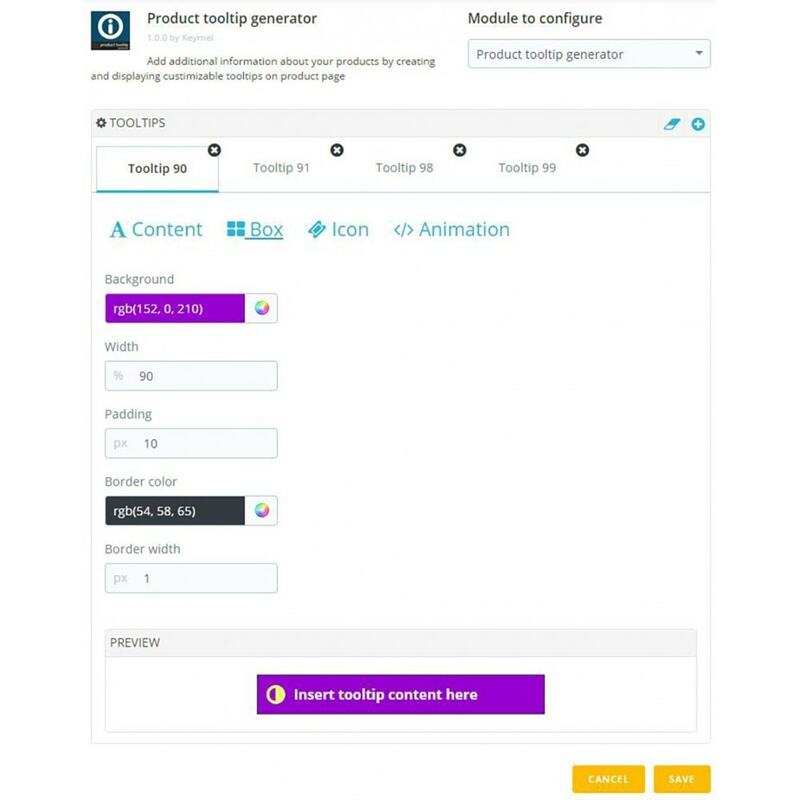 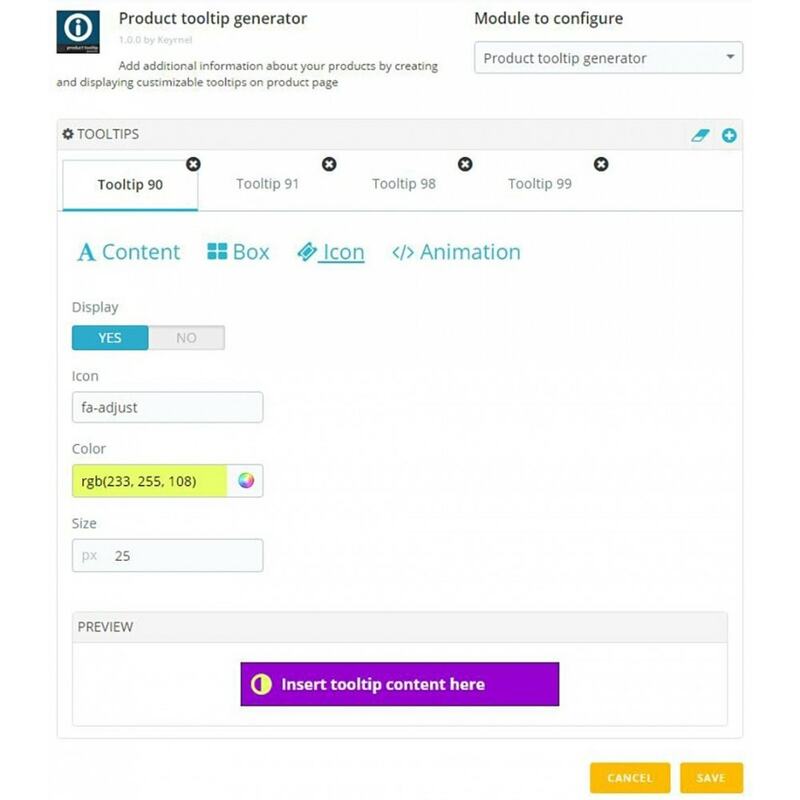 Add as many tooltips as you wish per product and customize each of them independently ! 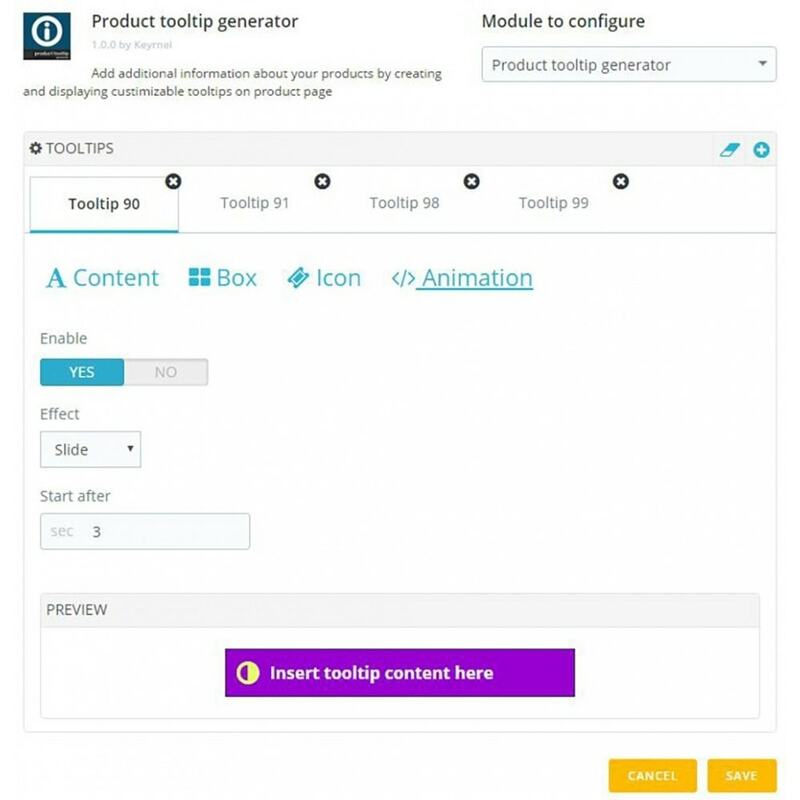 Display the information you want with the riche text editor tinyMCE .